I moved to Selkirk in 1987, am married to Doreen and our three sons all attended Selkirk schools. We both still live in Selkirk with Rogan, our Irish setter and Tika the cat. 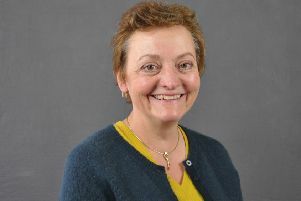 I worked as a chartered accountant and also in various fields including newspapers, Borders Health Board, electronics, and for MSP Christine Grahame. I have been involved in many local community activities, including the cub pack, the chess club and the RNLI. I have 30 years’ experience as a councillor, including being deputy leader of Scottish Borders Council. I know that being a local councillor is a full-time commitment, and I relish that challenge. ● To promote resurfacing of roads in preference to temporary patching. ● To support the construction of a Selkirk bypass, allowing heavy traffic to avoid the town and make Selkirk an attractive place to visit and shop for local people and tourists alike. ● To roll out the successful Dog Friendly Newtown initiative across Selkirkshire and ensure that fines for dog fouling are enforced. ● To protect rural schools and work towards alleviating rural poverty. ● To improve public transport. If elected, I will work hard for all the people of Selkirkshire, holding regular surgeries, making home visits if needed and making myself available to the people of Selkirkshire.